Austin/San Antonio – American Gateways is deeply saddened and frustrated to learn that the Department of Justice has announced the discontinuation of all funding for the Legal Orientation Program (“LOP”) and Immigration Court Helpdesk (“ICH”) programs, effective at the end of April and July respectively. With sites across the country, these programs provide basic legal education to thousands of immigrants in removal proceedings who would not otherwise have access to legal counsel. The DOJ-funded programs were implemented by the Vera Institute for Justice, who in turn partnered with a national network of legal services providers. 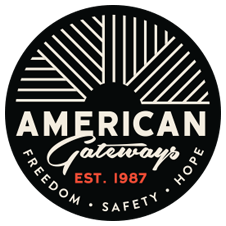 American Gateways serves as the LOP provider at three immigration detention centers in the region, including the South Texas Detention Complex, the Karnes County Residential Center, and the South Texas Residential Center. We are also the Helpdesk (ICH) provider at the San Antonio Immigration Court. At an annual cost of just over $10 million, the LOP and ICH programs served more than 53,000 individuals and families facing deportation each year. Through presentations and workshops, LOP and ICH providers explained the immigration system and court processes, the legal rights of immigrants in deportation proceedings, and any potential legal pathways for those appearing before the courts to remain in the United States. It also created a mechanism for direct referrals to pro bono attorneys willing to provide representation.